With comments being open until 6pm Monday (as per Stafanie Dazio of Newsday) I took the opportunity to provide some comments on the Islanders bid to make Belmont their home. First, I would like to thank you for taking the time to discuss this issue with the public, and for welcoming our feedback. As a New York state resident (and sports fan), I find this issue to be an important one. I feel that this has fact has been forgotten by some during this process. I understand that the residents of Elmont will feel the effects of your decision. This is why I appreciate the instructions that went out with the invite for bids. I understand there were some hurt feeling from other groups but this development is supposed to benefit state residents. A complex with multiple big box stores does not benefit the community at large. While retail space is a component of both bids, I’m happy that it will not be the primary component of either. I also believe that proper diligence was conducted to know that major companies such as Amazon were not planning on using this land for corporate headquarters. I understand that many local residents would like land to be available for such an occasion, but no plan was put forward to fill that desire. That leaves only the New York Islanders and the New York City Football Club. How appropriate this piece of land basically on the border of Long Island and New York City is be challenged by organizations with those names (as that land is both the end of Long Island and the start of New York City). Both of these bids come across very similar. The both center around a home for the sporting franchise, updating the LIRR station, some retail space, and community space. This seems pretty formulaic and interchangeable at the request of the committee. At the end of the day there are two questions that separate these two organizations. First, is what would be better for the larger community, a 26,000 seat outdoor stadium or a 18,000 seat indoor arena. I believe the answer is an indoor arena. This allows the building to be used up to 365 days a year while, the outdoor stadium will not have the same abilities to provide value to the area. While there is not a tremendous need for either in the area, this new arena will be competitive in the marketplace for bringing in world class events, while I have trouble believing that this soccer stadium will bring in much other than soccer. This new building would be more popular than the Nassau Coliseum, while the stadium would still be competing for events with Forest Hill Stadium and Nikon at Jones Beach. The second and more important question has to do with the organizations themselves. Which is more important to the local area, being the home to Long Island’s National Hockey League team or New York City’s Major League Soccer team. It is of my belief that the Islanders are more important to this local area. With fans throughout Long Island and into New York City, the Islanders will bring state residents to the area and provide them with the world class events that the community deserves. The Islanders have a history of being important to this community and Belmont Park would be the place for them to continue to grow that legacy. NYCFC has yet to prove they are a community force and do not have the same following that the Islanders have. The NYCFC bid was impressive but it was not a game changing proposal. Therefore, the Islanders should be awarded this bid. As a state resident I believe that this Islanders bid is a good one. This has the best benefit for the most New York State residents. 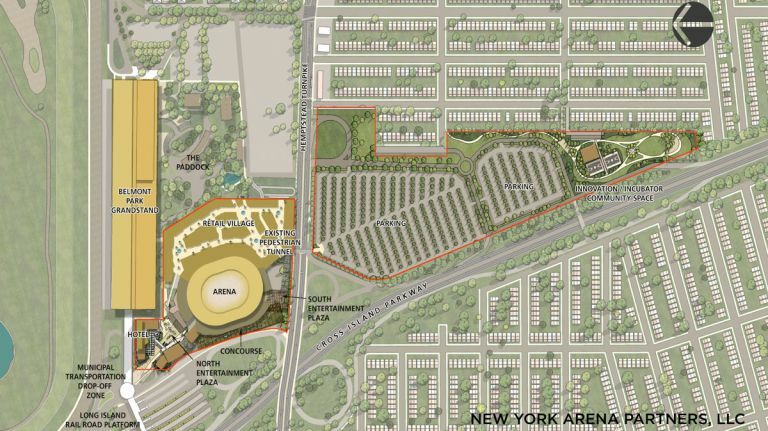 A new arena would be a tremendous benefit for those of us that live on Long Island and in the outer boroughs of New York City. The committee believes that this land should be used for entertainment purposes which would make the Islanders the best party to fulfil those terms.